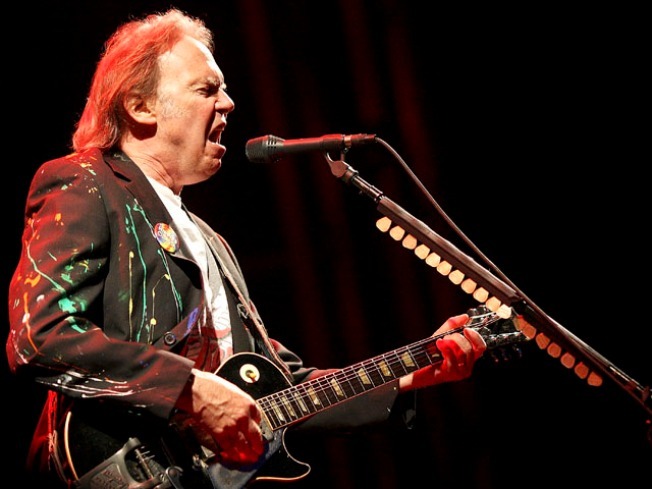 Neil Young's 2004 North America tour was fueled by diodiesel fuel. That's how you rock in a free world. Musician Neil Young, folk singer Joanna Newsom and will.i.am of the Black Eyed Peas will be making some holiday magic tonight in the City. They will be performing at a fundraiser or after party for the University of California at San Francisco Benioff Children's Hospital. The location of the after-party is secret for now and will be announced at the concert. The gig is bringing them to the Nob Hill Masonic Auditorium. The new 183-bed hospital will be part of an integrated hospital complex for children, women and cancer patients in the city's Mission Bay neighborhood. The fundraising goal for the hospital is $600 million, and they are currently at about $375 million, according to event organizers. Tickets cost $250 for upper rear balcony seat, $500 for balcony seating, and $1,000 for main floor seating, and can be bought at this link.